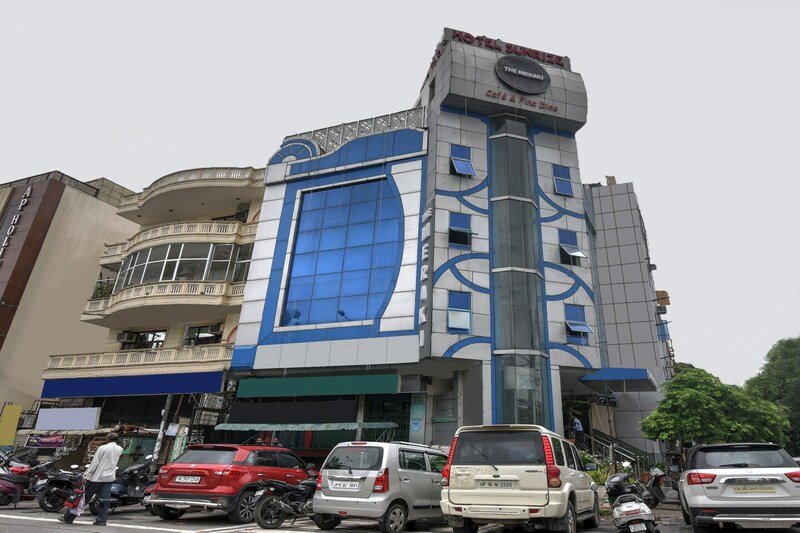 Hotel Sunrize is a modern property with bright and snazzy rooms, located on Badli Road in Sector 15, Rohini, in Delhi. The hotel is close to Hanuman Mandir, Arya Apartment Temple, and the ESI Hospital is also close by. The hotel has a kitchen and banquet hall on the premises. The rooms are decked with wood finish wall cladding and trendy wallpapers. Bright textiles add to the charm. The bathrooms are neat and stylish too. Each room is equipped with a TV, AC, free Wi-Fi, seating area and mini fridge. The hotel offers power backup and CCTV security as well. There are quite a few restaurants nearby like the Burger Junction, Laxmi Fast Food, The Craving Corner and Chicken Khurana.